We spoke to Maltese-native Rebecca Cavlan about her experience studying at the University of Brighton and how her career has worked out as environmental science alumni. Did you always want to work in environmental science? 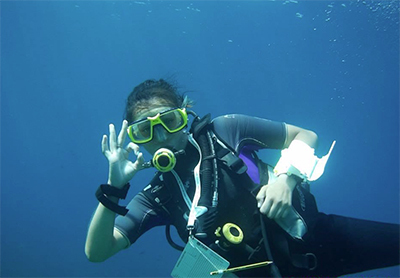 Growing up in Malta from the age of 10, I snorkelled around my local coasts for most of my summers. It didn’t take long for me to notice that human activity was linked to the ocean floor, I saw our waters becoming more and more polluted and I noticed that the pollution was linked the amount of marine flora and fauna there were. The moment I realised this I knew that I had to dedicate my life to conservation. Has your degree benefitted you in the current job field? I have had around five environmental internships since I graduated, I have only begun to look for jobs now as I took a managerial position for a year. Hopefully, my hard work will allow me to be paid for working in conservation! A degree tends to be one of the minimum requirements for most of the jobs that I’m applying for. What university did you attend, and what are your thoughts on it? I attended the University of Brighton. Brighton is a great city, it is very accepting and there is always something to do. Although the University (like most) has mixed reviews, I found my experience there and my course very fulfilling. I went on two field trips abroad and about half a dozen around the UK, I had lab access and computer lab access when I needed it and never really struggled with the library either. My lecturers were very supportive and I am still in contact with a few of them now, a year after graduating. Which module did you enjoy the most and why? I enjoyed my dissertation the most (sad, I know)!! I picked my own topic and designed the project myself, my supervisor was very supportive of this too. I had 4 weeks of data collection in Malta, which involved a lot of snorkelling and scuba diving, then I got to read and write about a subject that I was very passionate about. What are the best and worst parts about working in environmental science? Where would you like to be in 3 years time in your life and career? 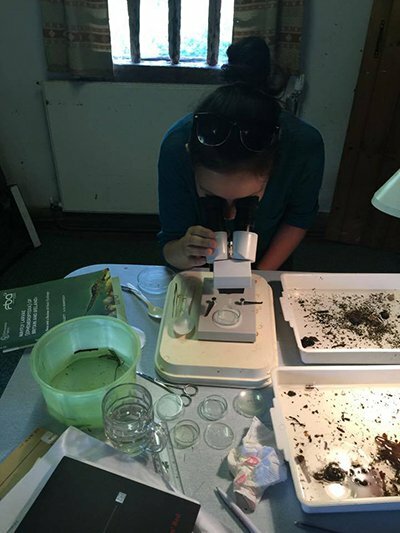 The best part about working in environmental science is definitely the fact that what you are doing could make a difference, whether you’re waist deep in a muddy river, crunching data on a computer, writing reports or even talking to the public, you know that you’re having a positive effect on the world and this is very fulfilling. The only negative I can think of is that there is no set ‘template’ way of starting up your career in environmental science – like there would be for say, law or architecture. There are so many pathways you can take with endless experiences you can have in this field, and there is no way of knowing where you’ll end up really. I don’t really see this as a negative point, though it can be quite exciting! As alumni, would you have any advice for those entering the field? Read, Read, Read. Keep up to date with what is going on out there; just because you’ve graduated does not mean you can stop learning!! Plus, in interviews, if you’re up to date with current affairs you’ll be able to actually hold a conversation with your interviewers. Intern, Intern, Intern. While you are studying or looking for a job, volunteer or get an internship somewhere. This will look good on your CV and also help expand your network – you never know who you’re going to need as a reference or a foot in the door. If you are interested in contacting Rebecca about her interests, you can contact her here through her email or her Twitter. Previous articleWhy Study Creative Writing?